Bookkeeping can be a lot more involved than simple math and data input. 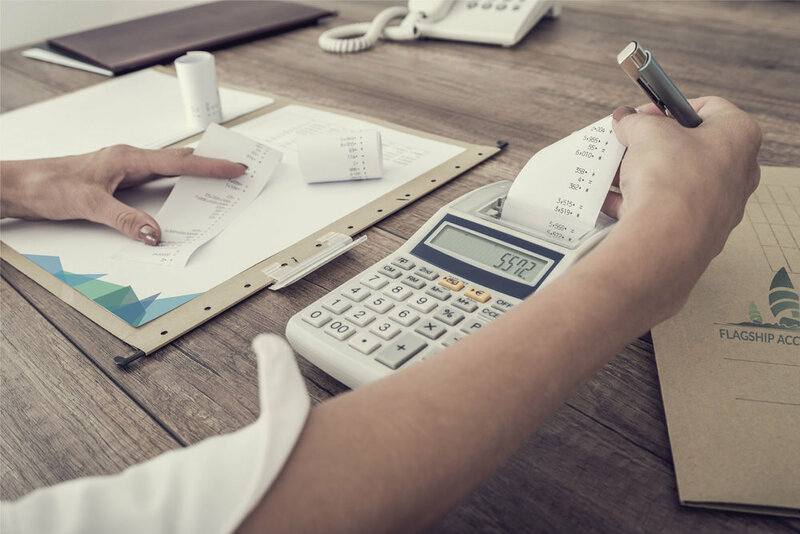 Clients requiring a professional bookkeeper are aware that it can be complicated, time consuming and frustrating trying to keep up and keep track of all the loose ends. At Flagship, we can do just about anything a small business needs. We solve problems! We hold to the old adage, “Good, fast and cheap. Pick any two.” We understand the challenges and constraints of managing a small business and we're here to help. The more organized you are as a client will help us to be more affordable for you. We're able to go through receipts and filter through your cheque books, but if you can discipline yourself (and we can certainly give you tips) to be organized we can give you exemplary service for an affordable price. If things in your business go anything other than 'as planned', we can help you repair what you fixed. We can go through your books to find where things went wrong and help you restore your books to working order again. We find that it's more cost effective (in the long run) to hire a professional if you're not numerically inclined. We work well with numbers so that you can be free to do whatever it is that you do well. If Revenue Canada audits you and finds a mistake, it's possible that an investigation could be launched. We can help you to avoid this situation, but if you find yourself in a situation where you're being (or going to be) audited, contact us and we can help! we will help your business.